Sun released a standard cross platform Speech APIs for Text to Speech and Speech recognition. With the Java Speech API you can incorporate speech technology into user interfaces for your applets and applications based on Java technology. This API specifies a cross-platform interface to support command and control recognizers, dictation systems and speech synthesizers. The Java Speech API was developed by Sun Microsystems, Inc. in collaboration with leading speech technology companies: Apple Computer, Inc., AT&T, Dragon Systems, Inc., IBM Corporation, Novell, Inc., Philips Speech Processing, and Texas Instruments Incorporated. Sun works with third-party speech companies to encourage the availability of multiple implementations. One of these implementations is FreeTTS. 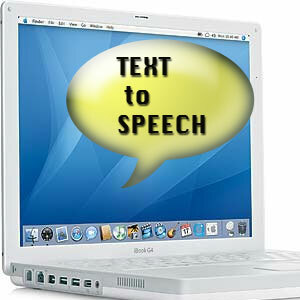 In this post we will go through few steps and simplest way to use the text to speech functionality.. The initial values for those parameters are 1.0 (volume at its loudest level), 100.0 (frequency of the voice) 150.0 (rate of words per minute). - cmu_time_awb.jar stores the Alan voice directory for clock-specific speech. - cmu_us_kal.jar stores the Kevin voice directory for generic speech. As a biginner, i couldn't understand tat abouve u have mentioned to do. Can you pls describe me, wat i hav to do step by step ?? Tell me which step you want me to clarify more ? please specify the all code at one place..
so much great info on here . Why you didn't follow the 1st way ? ==>Add voices.txt to the classpath. I came across your blog looking for information about TextToSpeech for Arabic - I'm currently using the cloudgarden JSAPI implementation which apparently does not support any input in non-latin letters. Do you maybe have any experience with producing Arabic TTS output? Sorry Nina, i do not have any experience in using Arabic TTS. You need to add them to the class-path when you run using command line or add the class-path correctly to the manifest file. I would like to know how to get the output sound which converted by your code to be heard in a pc of client's browser ? I believe there are ways to do so, like getting the audioPlayer or defaultAudioPlayer and use it, or using AudioManaer with Synthesizer the 3rd option which is the easiest to use Java Applet. about Synthesizer: if I write it directly on a JSP page and use it , will it gives the sound to the client's broswer directly without the need of any additional script on a broswer to help doing it at client's broswer ..
nice .. but what about the Arabic language ? I didn't use Arabic language but seems need to rebuild your own speech voice.